Performance sells. It's that simple. During the Great Recession, it was small cars, like the Ford Fiesta, that enjoyed strong sales in the US. Once gas prices dropped, sales of crossovers, SUVs, and trucks rose once again. Today, however, automakers are experiencing a sales drop in all of the above. 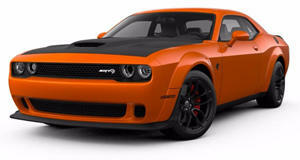 However, according to a report from The Detroit News, Ford and FCA are seeing a spike in popularity for hot hatches and muscle cars, respectively. That’s right. Performance is having a comeback of sorts. 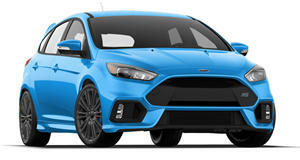 For example, Ford says the combined sales of the Focus ST and Focus RS increased by 25 percent in the first four months of this year. By contrast, conventional passenger car sales have dropped 11.4 percent year-to-date, according to data gathered by Autodata Corp. As for the regular Focus, sales actually decreased by 24.6 percent year-to-date. Ford also says sales of the new Fusion Sport, with its twin-turbo V6 producing 325 hp, have also increased. 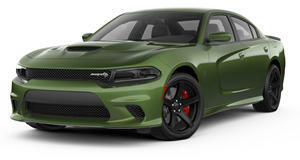 As for FCA, it reports that "ultra high-performance" cars, specifically the Dodge Challenger and Charger Hellcats, increased in sales by 4 percent in 2016. Like Ford, FCA has also experienced a drop in conventional car sales in the first part of this year. As for GM, interestingly, sales of the Camaro and Corvette have actually dropped. So who’s buying performance cars in the US? Turns out it’s older millennials and younger generation Xers. The average household incomes, for example, of Focus ST and Focus RS buyers is between $108,000 and $169,000, respectively. The average income for a regular Focus buyer is $63,000. Here’s hoping this performance car sales trend will continue, and perhaps even grow.